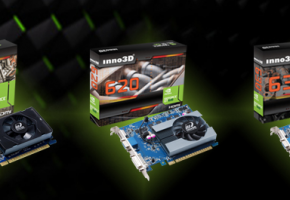 Club 3D has released two new cards from GT 600 Series lineup. 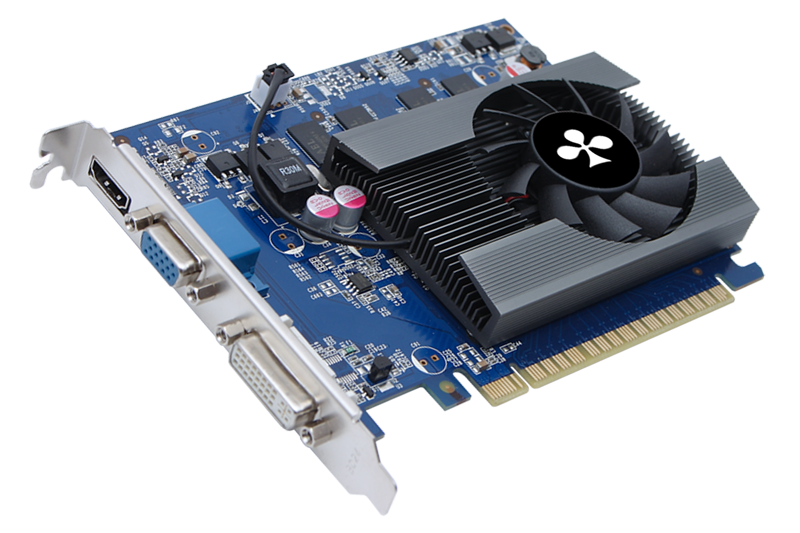 In comparison to other manufacturers Club 3D did not launch GT 620 graphics card, likely because GT 620 is not very different than GT 630 model. Anyway here is the press release, specs and some photos. 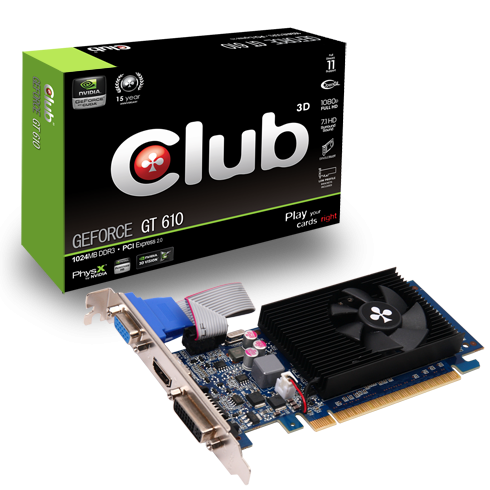 Club 3D is pleased to release the latest addition to the brand new GeForce 600 series, the Club 3D GeForce® GT 610. 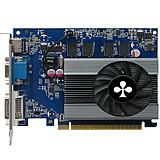 The GeForce GT 610 graphics chipset is targeted at the entry-level desktop systems. It comes equipped with 1x Dual-Link DVI, 1x HDMI and 1x VGA video outputs to run your hottest applications without compromising performance on multi-monitor settings. 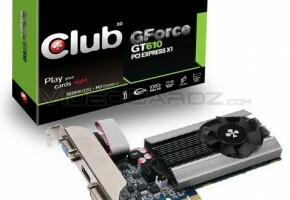 Offering a low profile card customers can expect this card to be bundled with 2 Low Profile brackets like usually offered by Club 3D on Low Profile items. 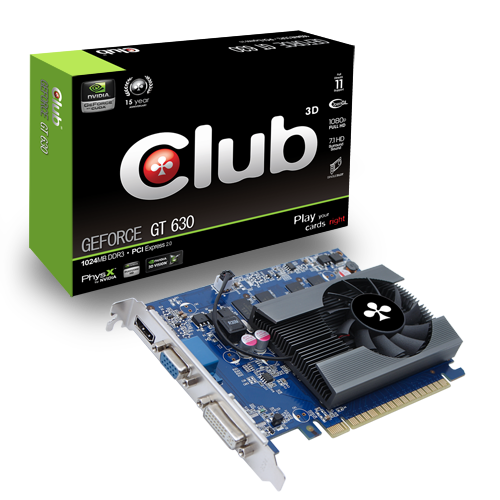 Club 3D is pleased to release the latest addition to the brand new GeForce 600 series, the Club 3D GeForce® GT 630. 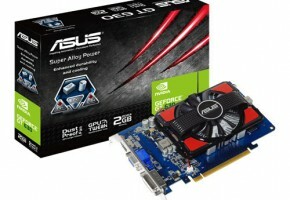 The GeForce GT 630 graphics chipset is targeted at the entry-level desktop systems. It comes equipped with 1x Dual-Link DVI, 1x HDMI and 1x VGA video outputs to run your hottest applications without compromising performance on multi-monitor settings. 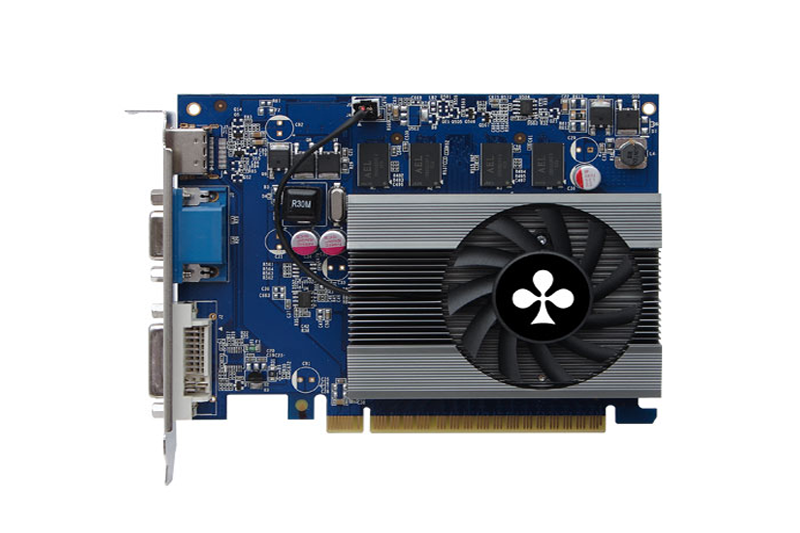 The Club 3D GeForce® GT 630 is the optimal solution for those who want to upgrade their system for a decent budget on editing HD videos, high resolution photos and accelerating HTML 5 websites. Supercharge your 3D experience at home and enjoy full 1080p Blu-Ray 3D movies on your 3D TV. Every PC deserves dedicated graphics. 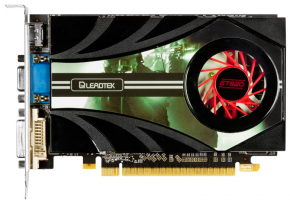 Bring your multimedia performance to life with a Club 3D GeForce® GT 630 graphics card. Accelerate your PC’s performance by up to 3x over today’s integrated graphics solutions* and add an extra 1024MB of memory. 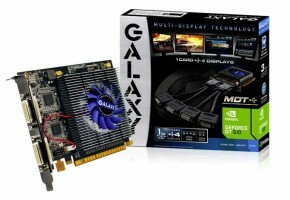 * Based on a PC configured with an Intel Core i7 3.2GHz processor. DirectX® 11 GPU with Shader Model 5.0 support designed for ultra high performance in the new API’s key graphics feature, GPU-accelerated tessellation. See what your eyes have been missing. Experience lifelike characters and incredibly detailed terrain and game environments in the latest DX11 games. Tap into Club 3D dedicated graphics and see how amazing HD video, photo, and web performance can be. Speed up your most demanding tasks. Enjoy 1080p online videos, render high-res photos instantly and supercharge your favorite multimedia applications. Go online and navigate, shop and socialize in a whole new way with HTML5 GPU accelerated web browsers like Internet Explorer® 9, Mozilla Firefox® 12 and Google Chrome™. Break through the boundaries of your screen. Immerse yourself in eye popping Blu-Ray 3D™ movies, view and edit your photos and browse the web – all in HD stereoscopic 3D. 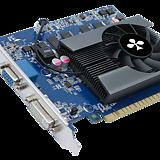 NVIDIA® PhysX® technology adds an element of realism never before seen in gaming. With an NVIDIA® GeForce® GPU in your PC, experience dynamic PhysX® effects like blazing explosions, reactive debris, realistic water, and lifelike characters. NVIDIA® PureVideo® HD technology brings movies to life. PureVideo uses advanced techniques found only on very high-end consumer players and TVs to make Blu-ray, HD DVD, standard-definition DVD movies, PC and mobile device content look crisp, clear, smooth and vibrant. Regardless of whether you’re watching on an LCD monitor or a plasma TV, with PureVideo the picture will always be precise, vivid and lifelike. 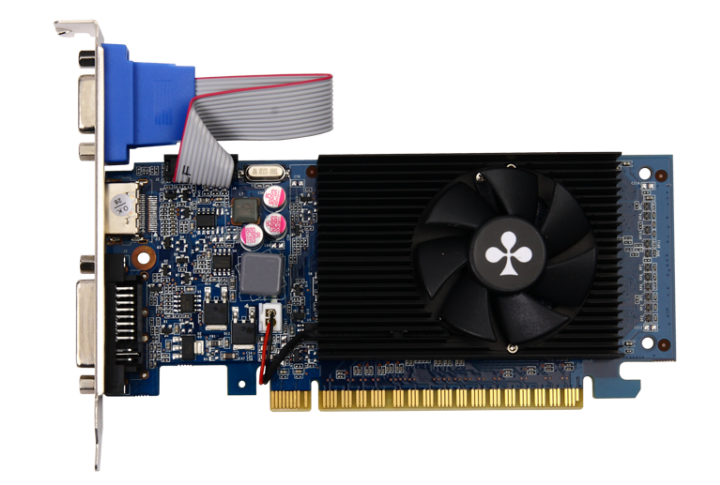 PCI Express® 2.0 offers maximum transfer rate to meet the enormous need for bandwidth of games and latest 3D applications, while maintaining compatibility with existing PCI Express® to provide the highest level of support. 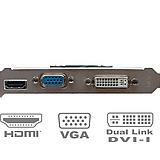 Allows connecting larger flat-screen with resolutions up to 2560 x 1600 and support for HDCP (High-bandwidth Digital Content Protection). 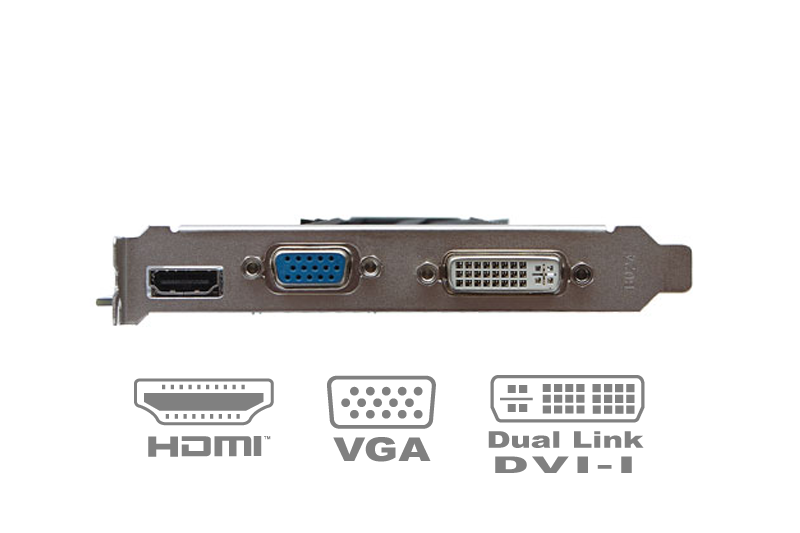 HDMI 1.4a support, including Blu-ray 3D accelerated by the GPU, x.v.Color, Deep Color and 7.1 digital surround. Allows connecting CRT, LCD screens and projectors with a VGA input. 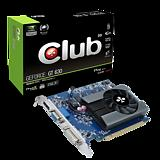 Club 3D provides everything you need to transform your low profile graphics card into a low profile configuration. All you need is to replace the standard profile bracket (standard on the graphics card) to the two brackets included in the package.